I’ve been creating HDR photographs for about ten years, so I am well-versed in this topic! There are a number of HDR Software packages available on the market. Some are free and some cost money. I’ve tried the vast majority of these packages. Because this site is considered on of the top HDR Photography websites on the web, companies often send me their packages to test. It’s always been my goal to find the easiest and most robust software. Regular fans of the site know that I only review and recommend software that I actually use. I have two recommendations depending on what computer you use to edit your photos. Roughly 3 years ago I partnered with the amazing team at Skylum (formerly Macphun) to develop an entirely new HDR software tool called Aurora HDR. 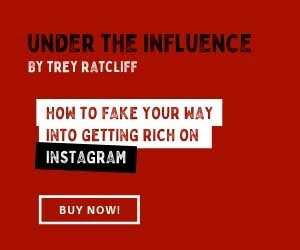 I worked closely with them to include all of the features I felt was missing from Photomatix, Lightroom and other tools in my quiver. Since it’s release over 3 million people have downloaded it. I’m blown away! Thank you for believing in us! How do you follow up from Mac’s App of the Year in 2018? That’s a tough one but we put our heads together with the team from Skylum and we’ve done it! Aurora HDR 2019 uses Skylum’s new Quantum HDR Engine. It is a completely redesigned HDR algorithm, paired with artificial intelligence, which took 3 years of development by Skylum’s AI lab. My favorite thing about this new version is you no longer need to make corrections on the initial results because it virtually eliminates noise, halos, and other little issues you often needed to fix. This means you can focus on your creative side. Begin by trying out the new “looks” (formerly called presets, a few of mine are included for free). And try tweaking out the “HDR-ness” of your creation with the new and improved HDR Enhance and Smart Structure sliders. 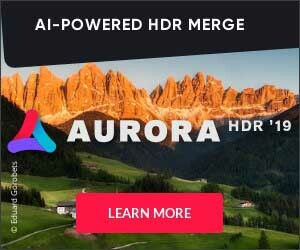 Already own Aurora HDR Pro and want to upgrade? Click here to find out if you qualify. I have a FREE HDR Tutorial here on StuckInCustoms.com that describes the step by step process. If you’d like to dive deeper, I also have video tutorials for Aurora HDR. The tutorials show how I use the tools for a variety of situations… landscapes, sunrise/sunset, people, motion, etc..
You do not really need a special type of camera, but I do have my HDR Camera recommendations here on the site. There is a bit more explanation there, in addition to a description of my own personal gear. Below are some sample HDR Photos that I’ve taken.